Entrepreneurs, business owners and students are all invited to deliver a three-minute “pitch” about their business or business concept to a group of judges from the business and investment community. On the line: $5,000 for the individual who knocks his or her pitch out of the park in the 1st Annual Racine/Kenosha FastPitch Competition. Kenosha Area Business Alliance (KABA) and the Racine County Economic Development Corporation (RCEDC) are coordinating and promoting the event. Individuals must strive to make every second count: on Wednesday, Aug. 29, they have 180 of them to describe their business, or their idea for one. Even for those who do not walk away with the cash prize, there are many benefits: the setting offers competitors the chance to refine their business focus, enhance their presentation skills, network with fellow entrepreneurs and connect with potential investors or individuals who can accelerate the realization of their idea. Snap-on Incorporated honored the country’s wounded warriors today, hosting the annual “Soldier Ride” at its corporate headquarters in Kenosha. The ride is an awareness and confidence-building outreach by the Wounded Warrior Project™ (WWP), an organization dedicated to helping wounded veterans returning home from Afghanistan and Iraq. More than 30 WWP riders and their caregivers were welcomed to the Snap-on Innovation Works facility in Kenosha. “It is a privilege and an honor to host the Solider Ride for the fourth consecutive year,” said Nick Pinchuk, Snap-on chairman and chief executive officer. “These brave men and women are American heroes and we value them and their service. 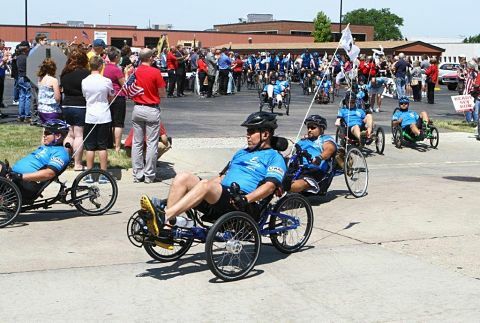 The ‘Soldier Ride’ is indeed a special event for everyone involved.” More than 400 Snap-on associates, veterans and community members were on hand for the event. Bradshaw Medical is the first recipient of funding from Kenosha County’s new High Impact Fund. Due to strong demand for the company’s products, as well as growth in the healthcare industry, the company plans to add 80 to 100 full-time positions over the next three years. The company specializes in the design and manufacturing of medical instruments for spinal implant surgery, the fastest growing segment of the orthopedic industry. Other applications for Bradshaw’s instruments include knee and hip replacements and trauma surgeries. 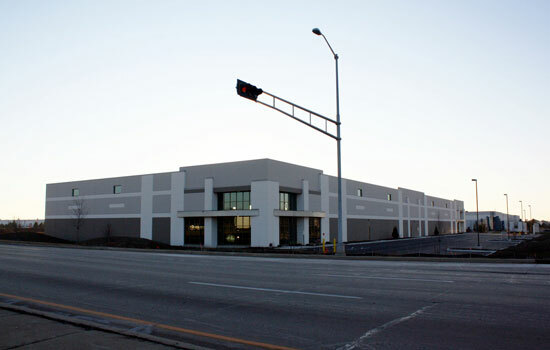 Bradshaw Medical’s operations are located in the Business Park of Kenosha in a state of the art manufacturing facility that was opened in the fall of 2010. A start-up company in 2006 with only 4 employees, Bradshaw expects to employ approximately 200 workers once the expansion is complete. 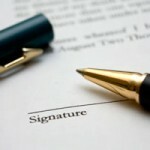 Bradshaw holds 24 U.S. patents and has an additional 12 pending. KABA’s Revolving Loan Fund program just completed a blockbuster year, granting over $5.3 million in funding to local businesses in 2011. The program makes low-interest loans available to businesses throughout Kenosha County, stimulating business growth and expansion and encouraging private investment and economic development. It was the second-best year on record for the financing program, which began in the 1990’s and has provided over $50 million in loans to Kenosha County businesses since its inception. 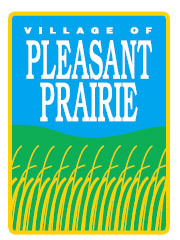 Planning and zoning amendments were approved by the Pleasant Prairie Village Board that advance a new Chevrolet dealership in Pleasant Prairie. The action came at a Feb. 6 Village Board meeting. In January, Final Site and Operational Plans for a new sales and service center were approved for Lynch Chevrolet by the village Plan Commission. The new Chevrolet dealership will be located south of Highway 50 at 10901 – 75th Street. Lynch Motor Vehicle Group, based in Burlington, operates multiple vehicle dealerships in Wisconsin and Illinois and currently has a temporary location further east on Highway 50. Lynch has already started grading work and making stormwater improvements at the site. Recently, the automotive group purchased an additional 2.1 acres directly to the south of the property to add to their site. Plans call for a 31,000 square foot building, with a 5,000 square foot showroom, to be built on approximately 8.3 acres. The new facility is proposed to be complete during the summer of 2012. Upon opening, the dealership is expected to employ 35 full-time and 5 part-time employees. Proposed hours of operation are Monday through Friday from 7 a.m. until 9 p.m. and Saturday between 7:30 a.m. and 5 p.m. Access to the dealership will be made from Highway 50 until the proposed improvement of the state highway in 2016. At that time, access will be created through the future 109th Avenue. Special Olympics Wisconsin-Southeastern Region will host its 13th annual Polar Plunge this Saturday, Feb. 11. The event has been changed up a bit with a new Plunge name and location for 2012…The Southeastern WI Polar Plunge (formerly known as the Pleasant Prairie Plunge) will be held at The Brat Stop, in Kenosha. A giant pool will be set-up in The Brat Stop’s parking lot. Join in on the fun at this family-friendly event…you can Plunge and Party all in one cool location-The Brat Stop. There also is a way to participate for those “Too Chicken” to Plunge. Registering as a Chicken means participants still raise funds, but stay totally dry, while watching others plunge. The Southeastern Wisconsin Polar Plunge, at The Brat Stop, will feature food, drinks, auctions, raffles and music by The Kingfish. For those just interested in watching it all, there will be Plunge viewing areas both poolside (outside) and inside The Brat Stop. Non-participants/general public can enjoy the Post-Plunge Party from 2 to 7 p.m. A $5 donation to Special Olympics gets you legendary food and drinks from The Brat Stop. Registration for the Southeastern WI Polar Plunge can be done online until Friday, Feb. 10, at noon. Or, register in person, at The Brat Stop, on either Friday, Feb. 10, from 6 to 9p.m., or the day of the event, from 10:30 a.m. to 1:30p.m. The Polar Plunge is Special Olympics Wisconsin’s largest and most well-known fundraising event. 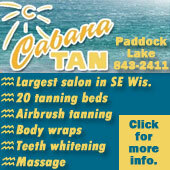 Southeastern WI Polar Plunge is one of twelve plunges that will be held throughout Wisconsin. The purpose of this event is to be “freezin’ for a reason,” and to raise funds to carry out the Special Olympics mission. Special Olympics Wisconsin’s Southeastern Regional Office supports nearly 1,400 local Special Olympics athletes, from five counties–Racine, Kenosha, Rock, Walworth and Jefferson. The regional office hosts events throughout these five counties year round. For more information on the Polar Plunge event, please visit http://www.specialolympicswisconsin.org – click on Polar Plunge, scroll down and click on Southeastern WI Plunge, or contact the Regional Office using the information below. 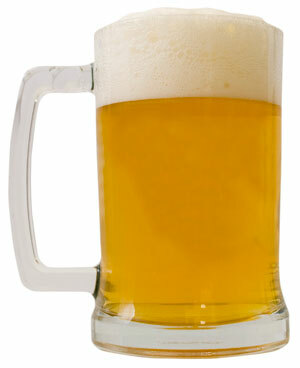 Also, on Feb. 9, The Brat Stop and Polar Plunge will sponsor a Business After Five at The Brat Stop from 5 to 7 p.m. Admission is $5, which will be donated to Special Olympics. 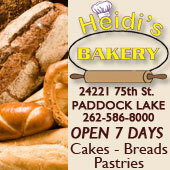 The local business community is invited. Those attending the After Five will get a sneak peak behind the scenes of the plunge, get to meet Special Olympics athletes, learn tips from expert plungers, and enjoy food, drink, and open networking. Kenosha will pay Bear Development $3.7 million under a settlement recommended by Mayor Keith Bosman and approved by the Common Council in a special meeting today. Site and Operational Plans were approved at a meeting Monday of the Pleasant Prairie Plan Commission for the conversion of an existing gas and convenience store into a liquor and cigar store. Ayra’s Gasoline and Convenience Store, located at 4417 – 75 th St. (Highway 50) will be converted to a liquor and cigar store. The new retail store will sell liquor, beer, soda, packaged snacks, and tobacco items. Business owners will modify the interior of the existing 2,755 square foot building at the .82-acre site and will remove gasoline pumps and tanks and a canopy to accommodate the conversion. Exterior landscaping and parking areas will be created, and a new monument sign will be placed on the property. Work is expected to begin as soon as possible and to be complete by the end of the year. Upon reopening, Ayra’s is expected to employ one full-time and six part-time employees. Proposed hours of operation are Monday through Sunday from 8 a.m. until 11 p.m.
Access to Ayra’s will be made from both 75th Street and 45th Avenue. A pair of Kenosha County business organizations will recognize seven local companies and one individual for their success on Thursday, Nov. 3. Gov. Scott Walker visited a Pleasant Prairie business on Tuesday, Aug. 9, for a ceremonial signing of legislation recently approved by the Wisconsin Legislature that will enable Pleasant Prairie to amend a current Tax Increment Financing (TIF) District to grow economic development opportunities in the area. Through the approved legislation, Pleasant Prairie has received permission to increase the value of the TID beyond 12 percent of the village’s equalized assessed value. Pleasant Prairie sought the change in order to prepare for future economic development opportunities and to bring property previously acquired by Uline into the TIF district in order to honor commitments that will lead to additional development and job growth. State Sens. Bob Wirch (D-Pleasant Prairie) and Van Wanggaard (R- Racine), and state Reps. Samantha Kerkman (R-Randall), John Steinbrink (D-Pleasant Prairie) and Peter Barca (D-Kenosha) applauded Gov. 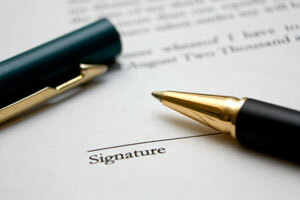 Scott Walker’s signing of Senate Bill 144 into law Friday. Introduced by Sens. Wanggaard and Wirch, SB 144 unanimously passed the Senate last week and then passed the Assembly on a voice vote. Rep. Kerkman, Rep. Steinbrink, and Rep. Barca had introduced the companion to SB 144, Assembly Bill 105, earlier this session before it passed the Assembly Ways and Means Committee, on which Rep. Kerkman serves as chairman. 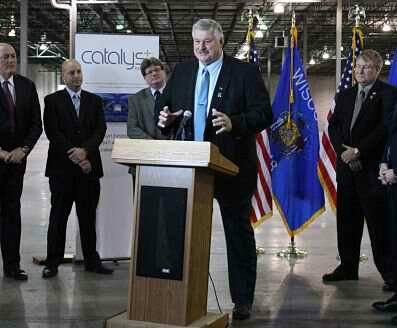 Four months after Catalyst Exhibits announced its move to Pleasant Prairie, a metal fabrication company working under the same roof in Crystal Lake, Ill., is likewise shifting its operations across the border. For The Metal Shop, the move to its new space at 10555 86th Ave. is already under way, with half of its equipment already in place. As with Catalyst, the transition will be completed by the end of August. While the developments are connected — Catalyst Exhibits is The Metal Shop’s largest client — each will have its own distinct space nearly one mile from each other. A program that would discount water costs for businesses that create at least 50 new jobs passed the Kenosha Common Council Monday night. 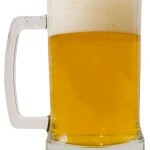 The approval came after discussion about the program. 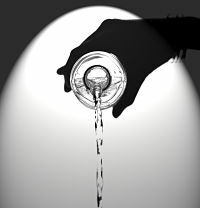 The program — called the Water Employment Trade or W.E.T. Program — could be used as a tool to recruit new businesses to the city or encourage existing companies to expand. The measure had 10 sponsors. The vote was 13 to 3. The program will be paid for by a transfer of $250,000 in city equipment assets to the water utility district. The Kenosha Area Business Alliance has hired Brian Rademacher to fill its newly created position of Economic Development Director. 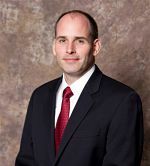 Most recently, before beginning work with KABA on May 26, Rademacher worked for four years as Economic Development Coordinator for the Chicago Metropolitan Agency for Planning. In that capacity, he worked with the planning commission for a seven-county region (Cook, DuPage, Kane, Kendall, Lake, McHenry and Will) in Northeastern Illinois. He also worked closely with economic development corporations, local governments and business leaders to provide insight into the economy and to identify needs ranging from industry analysis to workforce development. 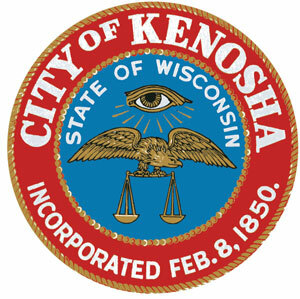 A rather lengthy discussion took place regarding the Kenosha Lakeshore Business Improvement District at the Licensing and Permit Committee meeting earlier this week. Jennifer Heim, chairman of the BID, and Lou Molitor, executive director of the Kenosha Area Chamber of Commerce, spoke to the Committee. 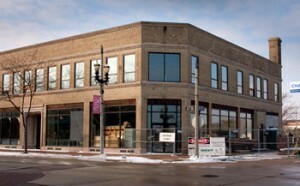 The license agreement between Kenosha and the Kenosha Area Business Alliance for the building at 55th Street and 6th Avenue, which was deferred from the April 18 meeting of the Finance Committee, was again deferred tonight. The building has been acquired by KABA and is expected to house the Jockey Closeout Center now on 39th Avenue. Todd Battle, KABA president, requested the deferral for two more weeks in order to ensure that adequate parking would be included in the agreement. 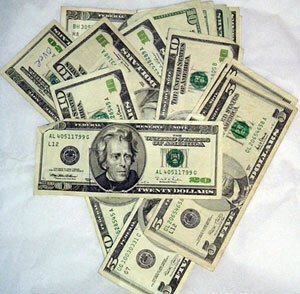 The items will appear on the Finance Committee’s agenda in two weeks, on May 16. UPDATE 5:04 p.m. — Additional info and photo added. Catalyst Exhibits, Inc., will receive a $500,000 loan from the Community Development Block Grant–Economic Development (CDBG-ED) program of the Department of Commerce to relocate its operation from Illinois to Pleasant Prairie, Gov. Scott Walker announced today. The governor attended an announcement of the move today in Pleasant Prairie. The map above shows the Bonnie Hame site, where Alderman Anthony Kennedy says Wal-Mart is looking to locate a store. Several years after building a super-sized store in Somers and closing a Kenosha store on 52nd Street, discount retailing giant Wal-mart is looking at returning to the city, two aldermen said at Monday’s Common Council meeting. In fact, the company is apparently considering two locations in Kenosha — one north side and one south side location. The Jockey Closeout Center now on 39th Avenue in Kenosha will be moving downtown into a building at 5500 Sixth Avenue acquired by the Kenosha Area Business Alliance, the KABA announced today. The 2011 Kenosha Area Chamber of Commerce Expo kicked off Saturday. This year’s event continues at the University of Wisconsin-Parkside from 10 a.m. to 4 p.m. Sunday, Feb. 20 in the Frank J. Petretti Fieldhouse. 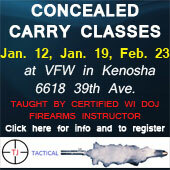 If you go, stop by the KenoWi.com booth and say hi. Note: Thank you to everyone who stopped by the KenoWi.com booth to chat, pick-up a pen and a card. We enjoyed getting to know a little more about you. Dave Duerson, known to Kenosha area residents as a defensive back on the glory years Chicago Bears teams of the early 1980s as well as a local business man was found dead in his Miami apartment last night, nbcchicago.com is reporting. After football, Duerson was an executive and later owner of Brooks Sausage, later known as Fair Oaks Farms, which has a plant in Pleasant Prairie. He sold his interest in Fair Oaks and founded Duerson Foods, which had a plant in Pleasant Prairie. SOLD OUT 4:30 p.m. Check back again for more Deals of the Day.